AcuLaser sells a wide variety of new, name brand, compatible and remanufactured toner. The process of remanufacturing a toner cartridge saves customers between 30-50% compared to buying a brand new cartridge and all AcuLaser cartridges have a 100% guarantee. In 1988 Mark Fannin, owner of AcuLaser Toner Supply, read an ad in the back of Entrepreneur magazine on starting your own remanufactured cartridge business. Mark took the leap and went to Austin, Texas to be trained in the remanufacturing process. Mark had humble beginnings and the spirit of an entrepreneur as he went business to business handing out flyers about the new business. He soon moved from the barn he started out in in Canyon to a portable building in his backyard. In 1991, AcuLaser moved to its current location at 16th & the Canyon E-Way. Mark renovated the building and brought on James Moore in 1996 as a full time employee. James had suffered a spinal injury in a farm accident when he was 18 years old and walks with the assistance of a walker. 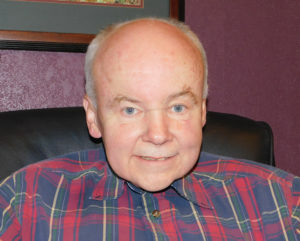 In spite of his disability, James has worked over 20 years for AcuLaser rebuilding toner cartridges. He is a very valuable employee. AcuLaser now sells a wide variety of new, name brand, compatible and remanufactured toner. When AcuLaser rebuilds a toner cartridge, it is disassembled, a new replacement drum (the colored cylinder that turns) is installed, a new wiper blade is installed and any other parts that are worn are replaced such as bushings and seals. The cartridge is then filled with fresh toner. This process saves customers between 30-50% compared to buying a brand new cartridge and all AcuLaser cartridges have a 100% guarantee. Within the first couple of years of being in business, Mark ran across many customers in need of printers, printer service, and maintenance. 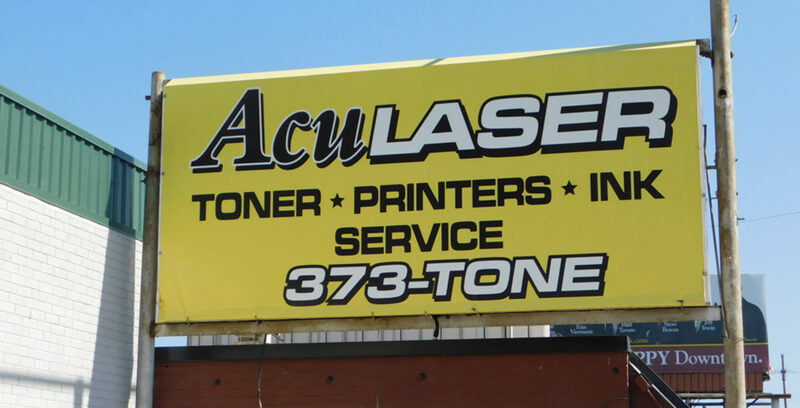 AcuLaser now offers printer repair and maintenance as well as the sale of reconditioned laser printers. Prices start at around $159 and a newer business size printer that cost around $1200 new is priced at $395. All reconditioned printers come with a six month parts & labor warranty. Mark prides himself on honesty and the highest level of customer service. Using AcuLaser locally for all your laser printer, copier, and fax toner supply and printer maintenance needs gives you HUGE savings, plus the convenience of fast and free local delivery and uncomparable customer service.